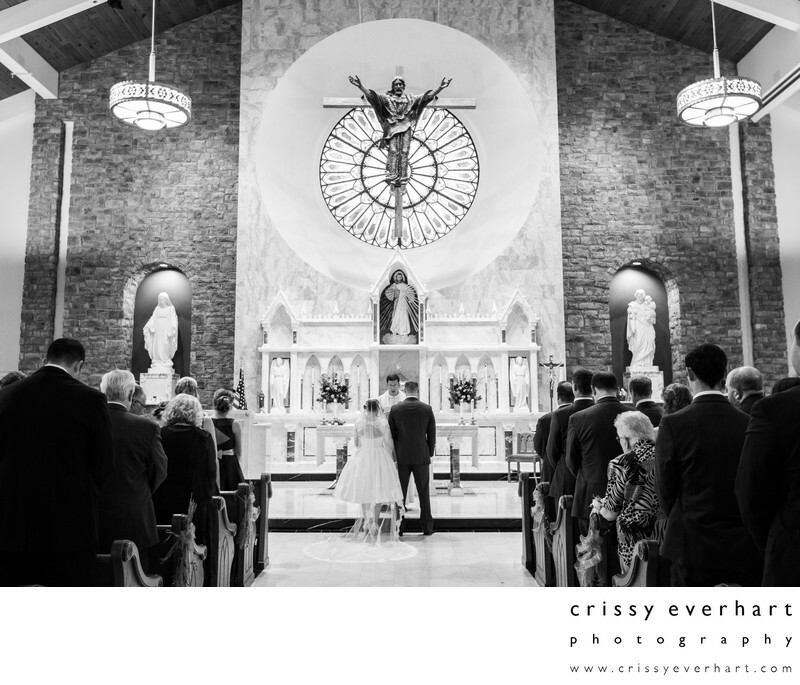 Black and white image of newly married couple receiving a blessing at St Patrick's Catholic Church in Malvern, Pennsylvania. Jesus on the cross is in front of a stained glass window and statues of the blessed Mary are on the sides. The bride has a tea length wedding dress with a cathedral length veil, and hand painted white shoes! Location: 104 Channing Ave, Malvern, PA 19355.